980 million Euro – that was more or less the contribution of the EU to South Africa as special development money in the last budget circle. And when I traveled to Brussels last month, the question was, how much the European Union might give in the new budget. There are countries like Germany advocating for zero Euro. Simply because South Africa falls short the markers set by the World Bank for being categorized a developing country. 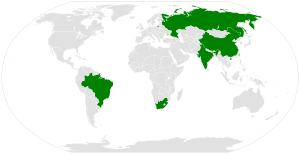 Being a preferred partner for the EU also doesn’t help nor does joining the BRICS countries. Corruption and attitude of some representatives of the political sector also doesn’t help a lot. This money is not even one percent of the South African annual budget, but still: it was used in the past to try new approaches, it was the money used for going new ways of governance, health care, development of democracy and much more which never otherwise would be part of the normal budget provided by government. On the request of the South African Representation to the EU I tried to lobby for a new round of developing money as I believe that South Africa, stripped of attitude and corruption is in urgent need of assistance from outside. Go to the Eastern Cape and I visited Sterkspruit last year deep into the eastern part of the fairest Cape – and you feel beamed back into a third world country. And government and NGO’s depend on the goodwill of others – putting aside political talk about an “African Renaissance” and “new colonial treads” – even in the sector of HIV and AIDS we would not have come that far without the assistance of the Global AIDS Fund. So politicians are asked to set aside ideology or party politics and concentrate to better the life of the people. And to establish a good governance to be entrusted with resources from those who are able to donate and give. 980 million Euro – it is for sure that there will be not that amount of money given again for the new budget circle. But lets lobby that there is more than zero – European Embassies are called to look realistically at South Africa and report back honestly about the situation where still people starving, living under the minimum to sustain their lives, where housing, clean water, health are not accessible for all. And the NGO sector also needs still that kind of support even if most of the money is anyhow given to government, some is essential for the work of civil society organizations and NPO’s. There is no decision yet, but there remains hope that the EU will consider South Africa as what it is: a country which came a long way but is still not able to run its affairs without assistance from partners outside.